Hi there. It's been a while. Family issues have been getting the best of me lately and it's been an emotional time here, so I've not been very active with my scrapbooking. I've been trying to get more layouts out and still keeping up with my kid's classes. I have now taken that down to once every two weeks but made them more substantial. 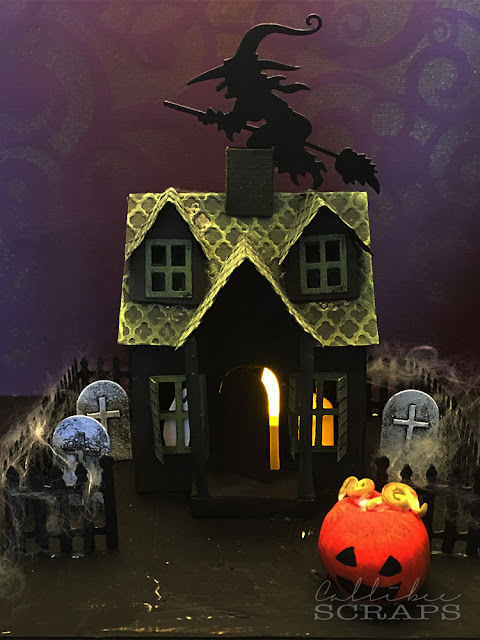 Halloween is always a great time to get ghoulishly creative and the Tim Holtz village dies (love them) are so versatile; suitable for any season. I worked with the village dwelling die and the village bungalow die. 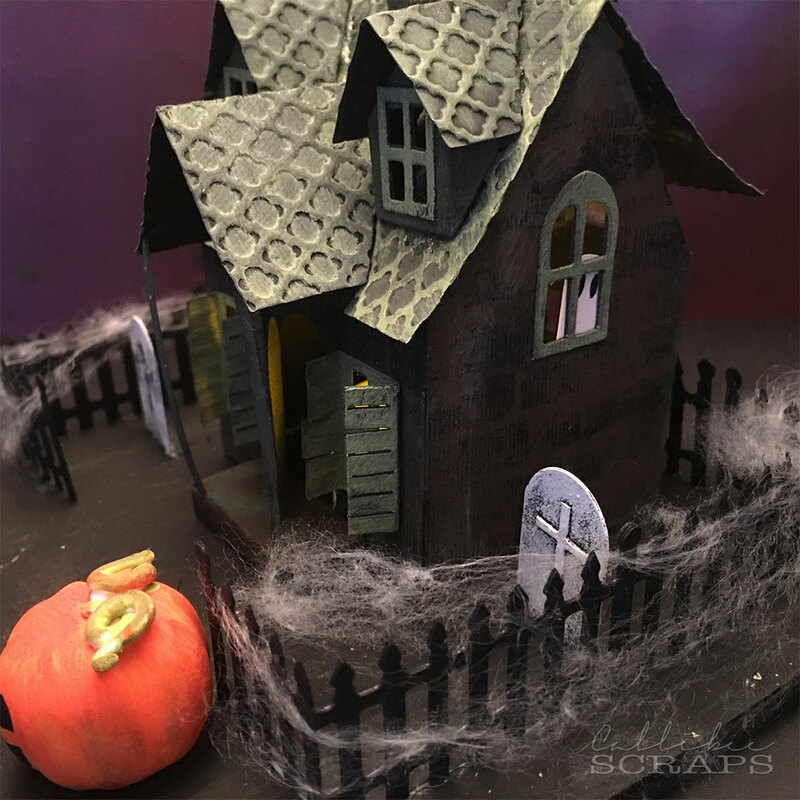 Is this not adorably spooky? I set the house on a larger 6" x 6" wooden board rather than the die cut platform as I wanted to add more space around the house and I love the witch flying on the roof. 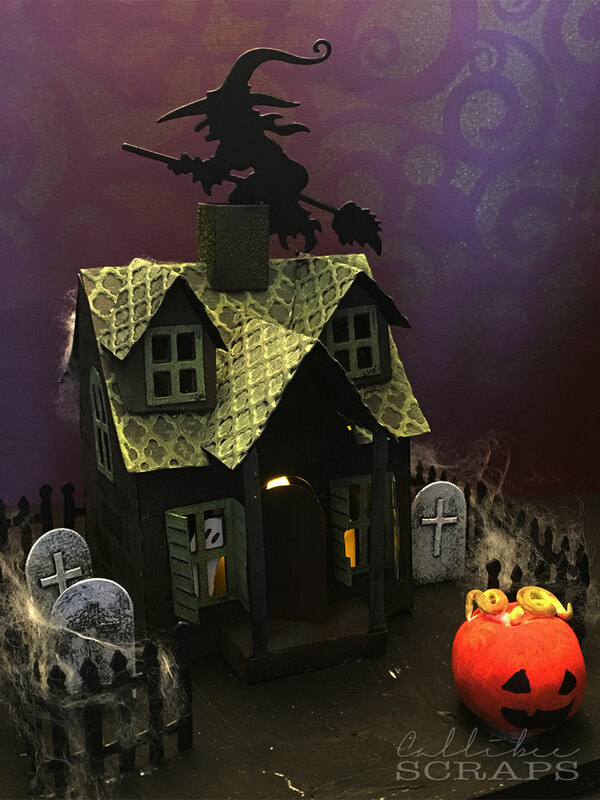 I made the pumpkin out of paper clay, let it dry, then painted it with acrylic paint. I drew and cut out two cute little ghosts to peek out from the windows. The girls in class drew and cut out all sorts of animal ghosts to make it fun. I also cut out more of the arched door to make tomb stones, which I blotted with white paint. 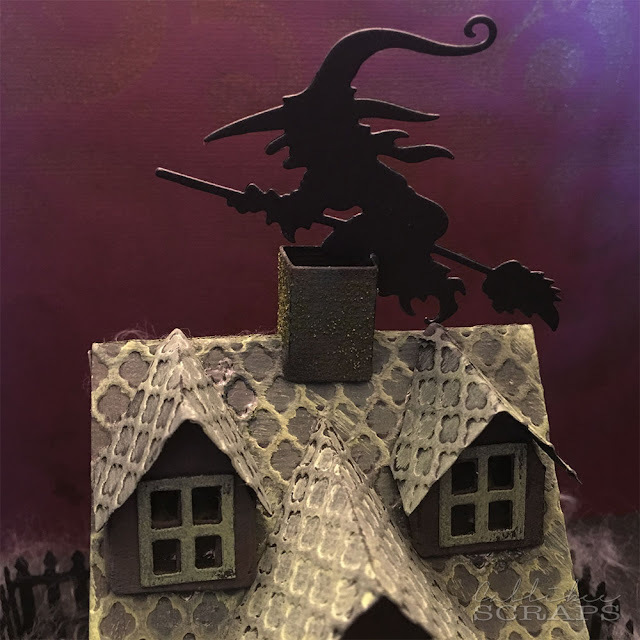 I used a texture plate on the roof die cuts and then used green and brown acrylic paints to make the texture stand out. I also inked all the window frames and shutters in the same paint. For the walls of the house, I painted them in a greys and browns before stamping on a brick pattern. 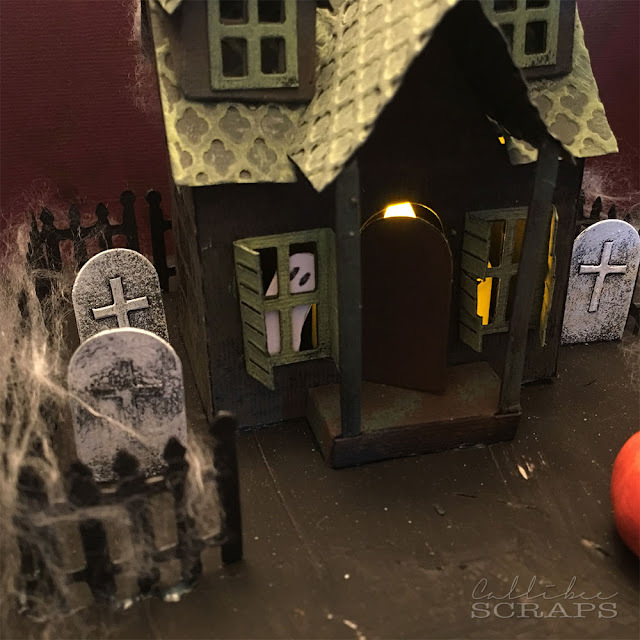 I finish it off with a fence surround and some "cobwebs".